1445 A.D. – Rhoan de Wolfe has lost himself in the mystique of the powerful pirate known as Lucifer, the mysterious first mate of the leader of the Pirates of Britannia. A man with no past, and no future, Lucifer deliberately keeps the details of his life private, but the truth is that a falling out with his father, years ago, have turned him into something dark, bitter, and brooding. My Thoughts: True to form, Le Veque writes an intriguing storyline. This is the last in a series written by both Eliza Knight and Kathryn Le Veque. 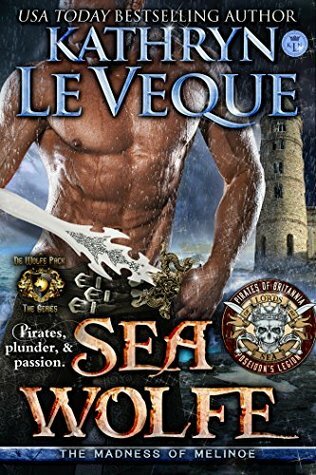 Sea Wolfe is about a man, a de Wolfe, and nobleman, has divorced his past and falls into the life of a pirate. He has amassed riches and misses nothing. He is challenged by the chase, has English and Scot friends – a contented man, happy to remain thus. That is, until he meets Genevieve Efford, taken prisoner when on the high seas. After being imprisoned at Perran Castle for a month, she’s spitfire angry when Lucifer shows up at the pirate stronghold. Having sworn off women for ten years, he’s not eager to deal with her. But she fascinates him. Genevieve is eager to leave the stronghold, trying to figure out if she can beguile herself into Lucifer’s good graces and have him promise to let her buy her freedom. After all, pirates are motivated by money. Both have emotions not foreseen or welcome. In steps one nasty slimeball of a pirate, Curtiz, and all is chaos and hardache. Will Lucifer admit to his feelings? Will Genevieve want her freedom more than Lucifer? Will kismet bring them together? I enjoyed the novella. It focused on Rhoan de Wolfe and if you’re a fan of the de Wolfe pack, you’ll enjoy how this story touches that world. 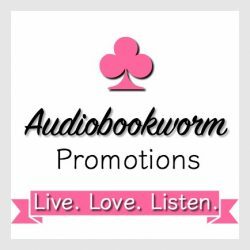 This entry was posted in Action/Adventure, Book Reviews, Historical Romance, New Book Release and tagged Book Review, historical romance, Kathryn Le Veque, Pirates of Britannia, Sea Wolfe. Bookmark the permalink.